KANAB — A getaway only an hour and a half away from both St. George and Cedar City makes for an easy daytrip that will feel like a mini vacation. Kanab is a destination both children and parents will enjoy. It’s especially perfect for animal lovers and fans of Western movies. Animal lovers will enjoy Best Friends Animal Sanctuary, while Western movie lovers will enjoy many of the Western-themed attractions in town, remnants of the town’s reputation as Little Hollywood — the filming location of many Western movies from the 1930s to the 1970s. Below is a sample itinerary perfect for all ages. Daily volunteer shifts are from 8:15-11:30 a.m. or 1:15-4 p.m. The main activity volunteers are asked to do is just that — interact with animals. For example, in Cat World, kids will pet the cats, play with them (fake mouse on a string, anyone?) 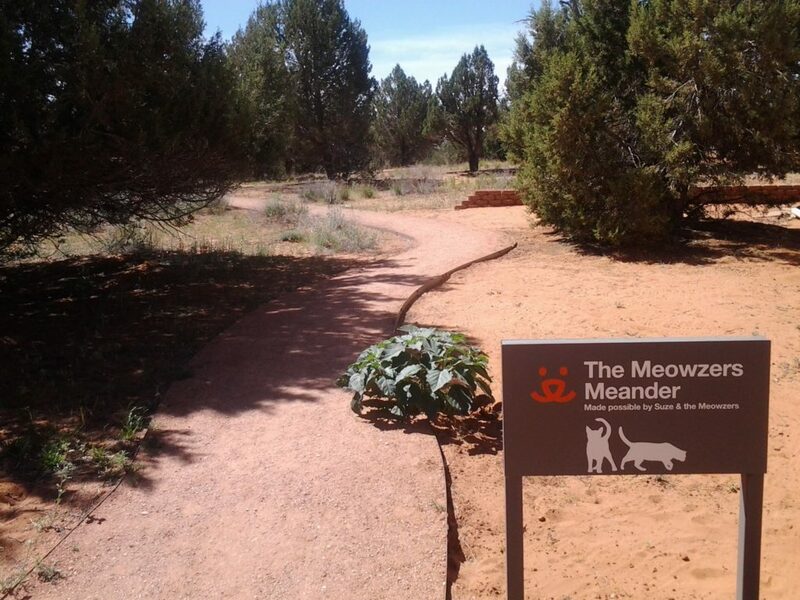 and take them for walks in strollers specifically created for pets on Meowzers Meander. 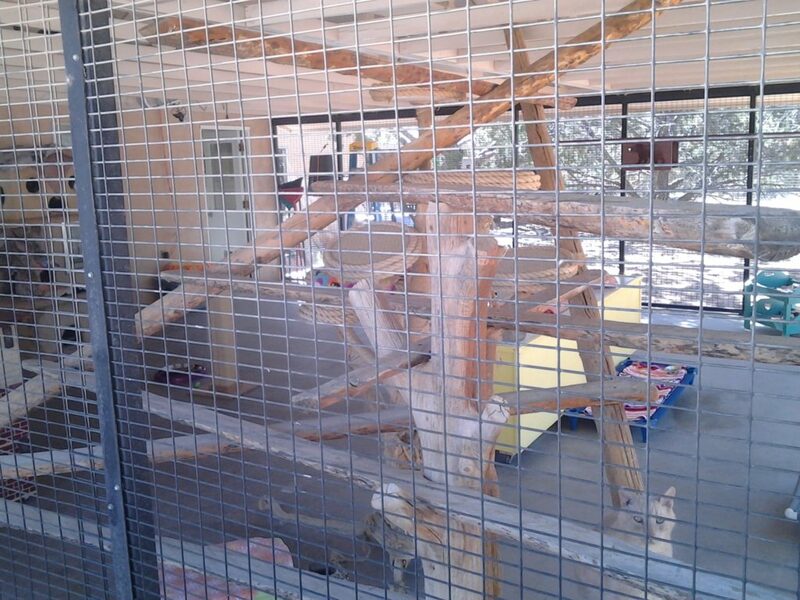 Other tasks include feeding, cleaning cages and more. Volunteering can be a relaxing experience. 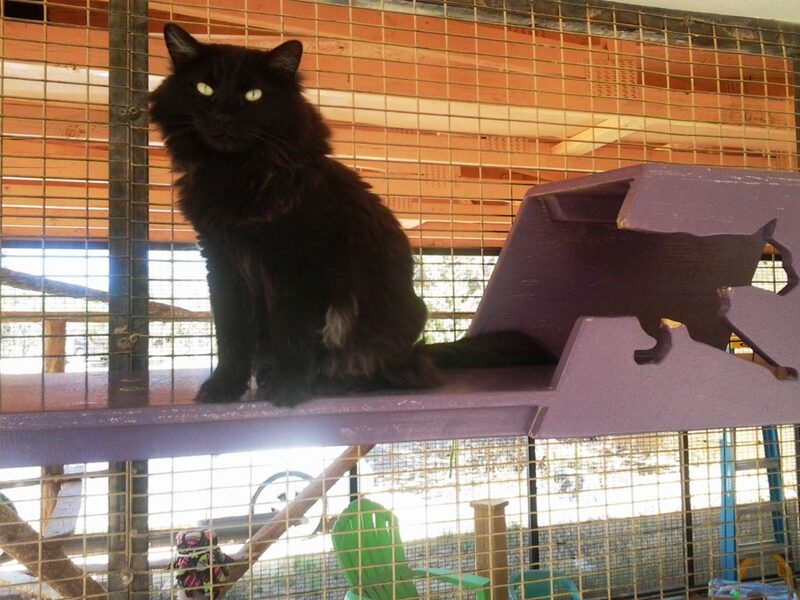 In Cat World, volunteers can sit on Adirondack chairs in what equates to a large cat cage while petting a cat on their laps and feeling a gentle breeze in the midst of a serene juniper forest. 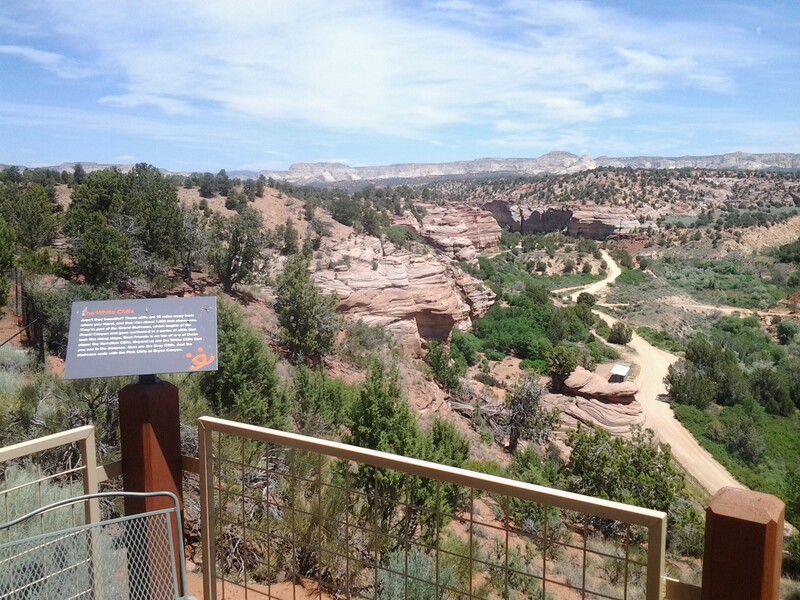 In addition to volunteering, visitors to the sanctuary can also take a tour of all the animal areas or just enjoy the scenery of the sanctuary’s location, Angel Canyon. With some advance consideration, parents can also take their children to one of the sanctuary’s summer kids’ camps, taking place Monday through Friday from 8-11:30 a.m. 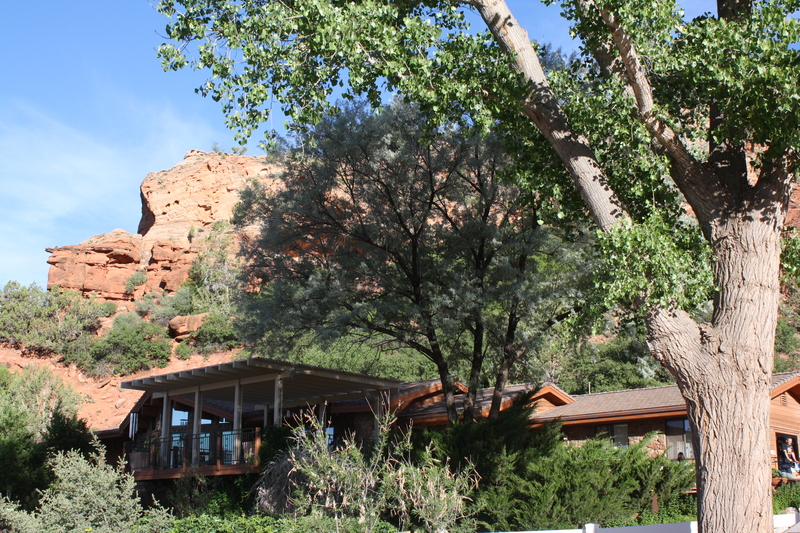 Finally, while there, don’t forget to try the vegetarian buffet at Angel Village and sit out on the patio with an expansive view of the canyon and mesas of Grand Staircase-Escalante National Monument on the horizon. For more information on volunteering at Best Friends, visit their website. A trip to Kanab is not complete without strolling downtown and taking a peek at the wares in the various shops along the main drag, including Cedar Post Trading Co., Gifts of the West and Denny’s Wigwam. Art lovers will especially enjoy The Rafters Gallery in the Rocking V Cafe and Raven’s Heart Gallery a few doors down. Raven’s Heart Gallery co-owner Gary Kalpakoff also displays and sells his photography in the gallery. One of his current photographs on display is a unique shot of two male bighorn sheep knocking heads in East Zion. All four legs of both rams are completely off the ground, but the image is still crystal clear. As a general rule, gift shop and gallery proprietors are friendly and happy to tell you their stories and answer questions about the area. In addition, it is refreshing to frequent such charming retail outlets in a world dominated by chain stores and strip malls. For a bit of nostalgia, a good lunch spot is The Soda Fountain, which is part of Kanab Drug. It also features gluten-free menu items. 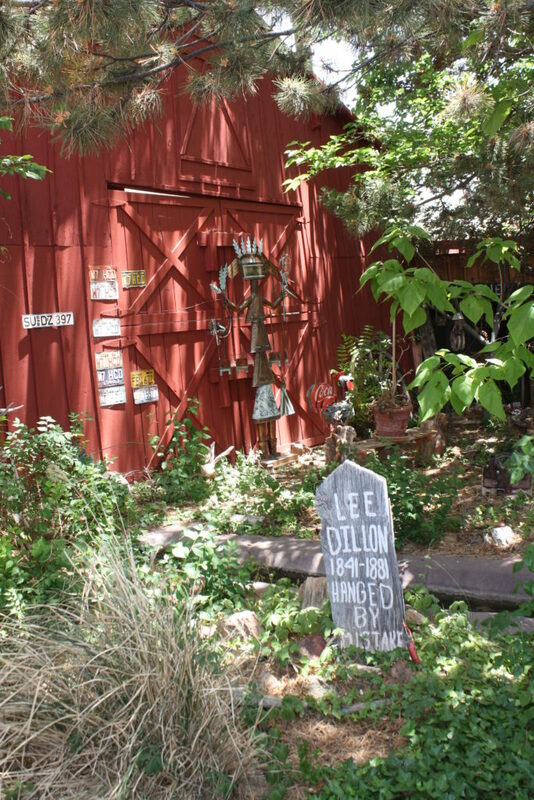 The Little Hollywood Museum should be on the top of the list for those seeking to immerse themselves in Western movie-making lore. 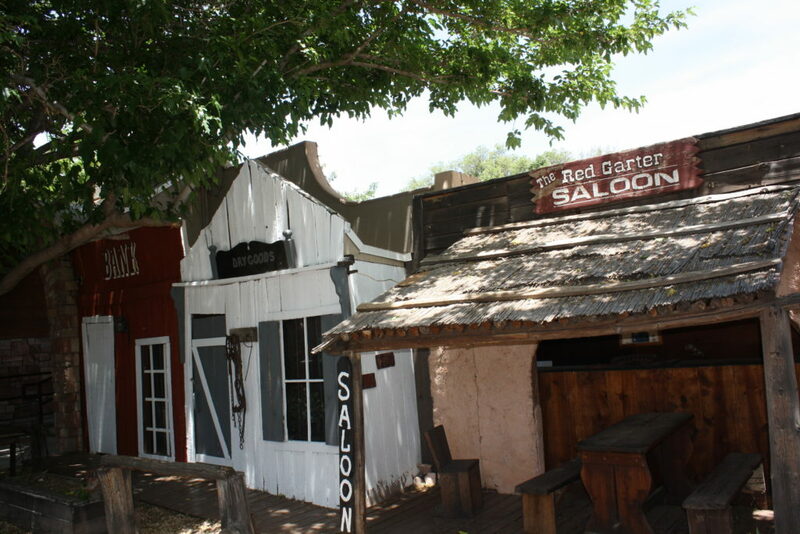 It features actual set pieces used in movies such as “The Outlaw Josey Wales,” which starred Clint Eastwood. 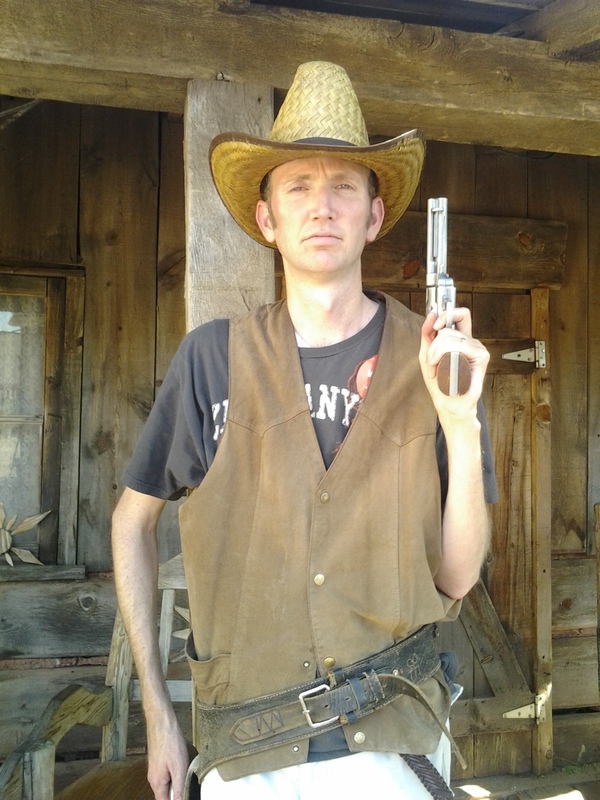 Guests can sift through props and pose for do-it-yourself western portraits set against the background of their choosing. The lot is replete with other photo ops in front of Old West business facades — such as a blacksmith shop and livery — and other props on Gunslinger Avenue. Guests can also stick around for a chuck wagon dinner and watch the skit “How the West was Lost.” Daring souls are invited to participate as extras. Another Old West-themed attraction with superb photo ops is Denny’s Wigwam, which boasts an extensive gift shop and a restaurant (only serving dinner). At Denny’s, visitors can take pictures sitting on an oversized chair and a stagecoach as well as stand behind caricatured renderings and stick their heads through the oval holes to become an Old West sheriff or showgirl. Large wood-carved bears guard the establishment, and there are homages to Western movie stars within the gift shop itself. But the main attraction is to open the door of the outhouse on site and see what “granddaddy” quips while he’s attending to his “business.” Denny’s also features a new virtual reality ride that makes visitors feel as if they are soaring above the area’s breathtaking national parks. 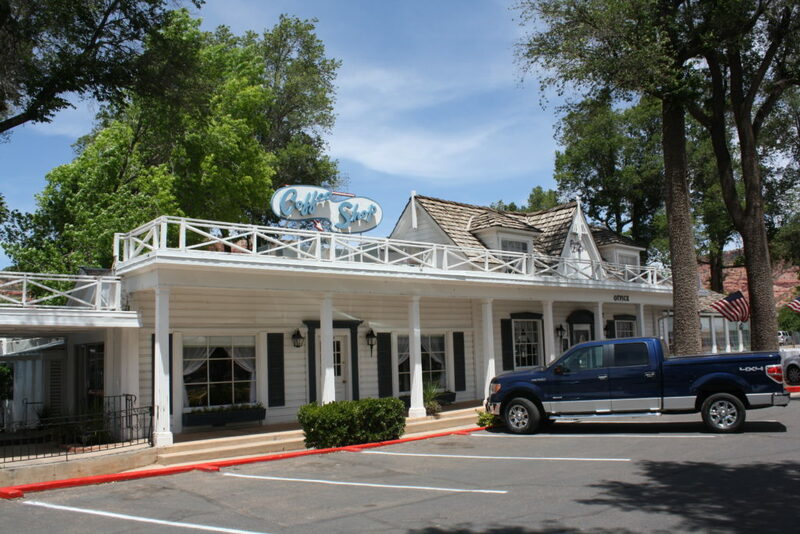 To see a veritable who’s who of the Hollywood icons who starred in Western movies filmed in Kanab, go across the street from Denny’s to Parry Lodge, which hosted many stars while filming went on. It includes a vast display of portraits of past movie heroes and former guests, from John Wayne to Ronald Reagan. 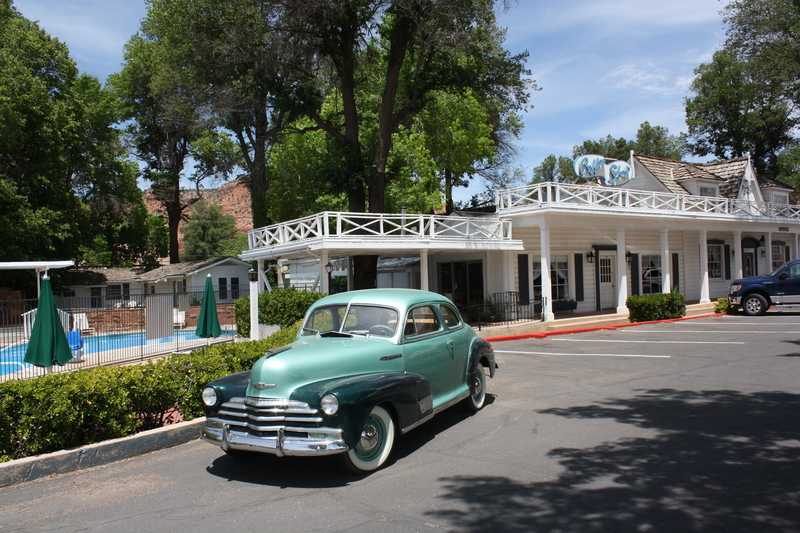 The lodge itself — which is on the National Register of Historic Places — makes a great backdrop for a photo, especially with its restored 1940s Chevrolet Sedan parked out front. 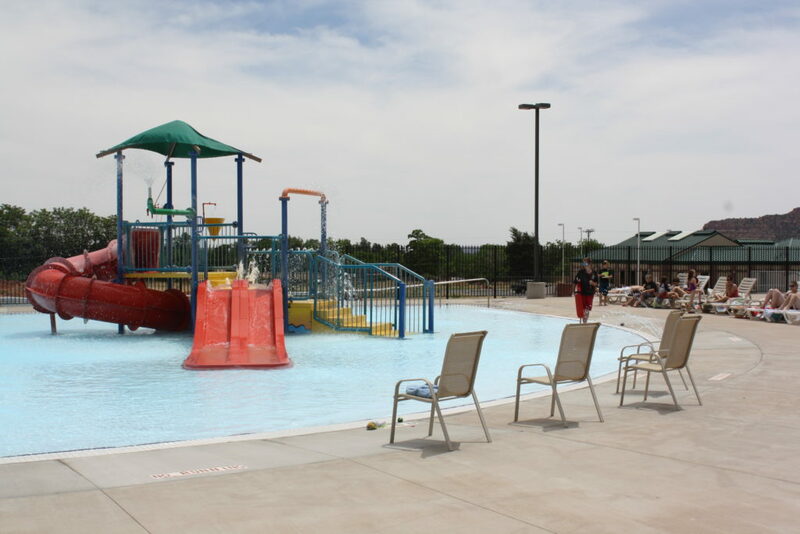 The Kanab Pool is a great way for both parents and children to unwind after a day of volunteering, touring and sightseeing. It features a lazy river, a water slide, a play structure, a zero-depth area for the little ones and a snack bar. While the pool doesn’t supply much shade, Jacob Hamblin Park right next door supplies a lot of it, as well as a large play structure for the kids, a pavilion and picnic tables. 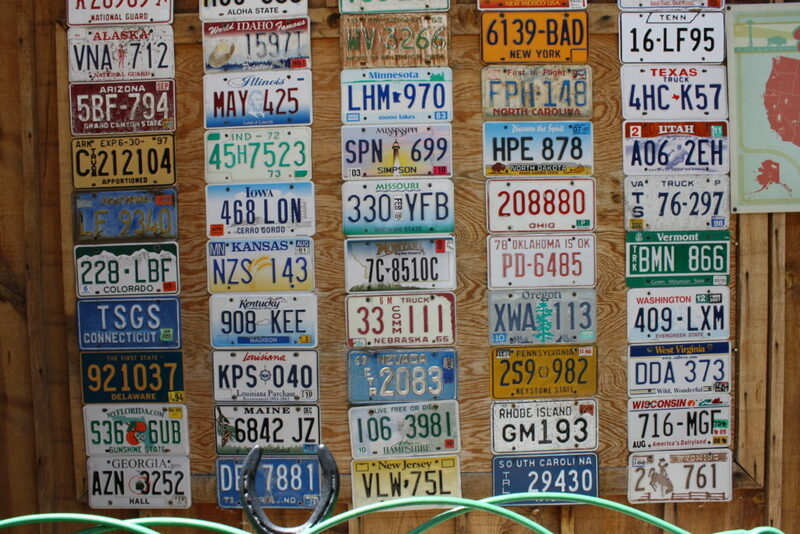 While some might think Kanab is a rinky-dink town that is past its prime, most will find it is worth the drive for a change of scenery and a change of pace.